Please join us for a closing reception for Jean Michel at the Scrap Exchange on Saturday, March 2, 4 – 6 pm. Visitors will be able to view his works created during the residency! 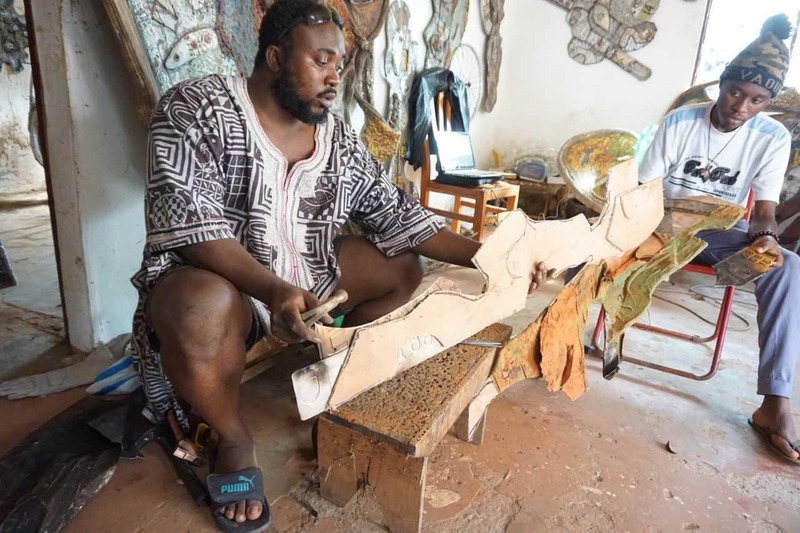 Jean Michel Dissake, artist from Cameroon, will work in residence at the Scrap Exchange and create mixed media sculptures during the week of February 25 through March 2.